Life is a series of choices and decisions; some choices are personal, such as deciding what to eat, following a certain lifestyle, and switching your bad habits, while others are bigger decisions (that impact your surrounding environment) like recycling, boycotting animal tested products and cutting plastics. 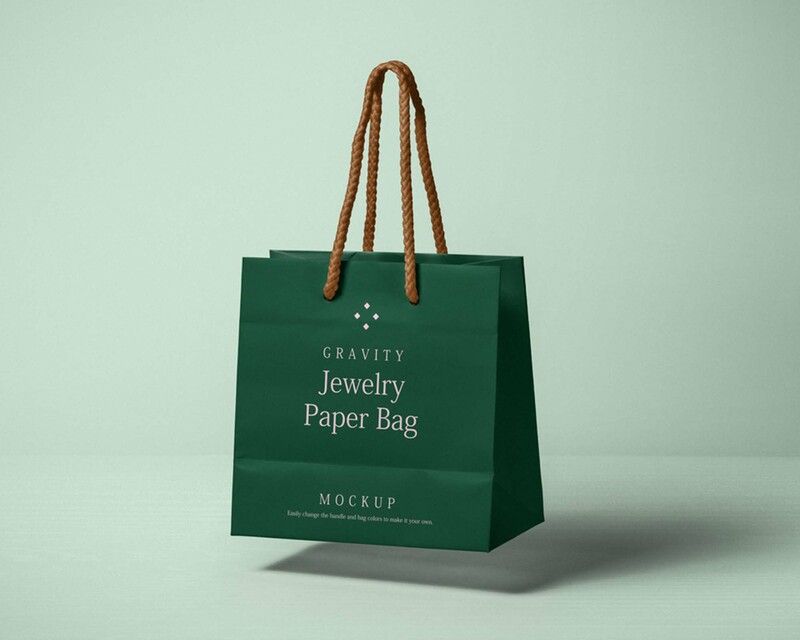 Today’s freebie is an eco-friendly PSD gravity paper bag mockup by Pixeden. It will allow you to present your design in a stylish way. This paper bag mockup is perfect for jewelry shop branding (for example), packaging design (clothing, cosmetics, shoes, chocolate), and logo design. It’s available in blank mode which allows you to customize it according to your taste, so you can change the bag and handles’ color, and easily add your graphics via smart layers. You can even use it for advertisements to promote your brand’s semi annual sale and add some products (like silk scarves, high heels) just below the bag (since it’s held up in the air) for a more realistic presentation.